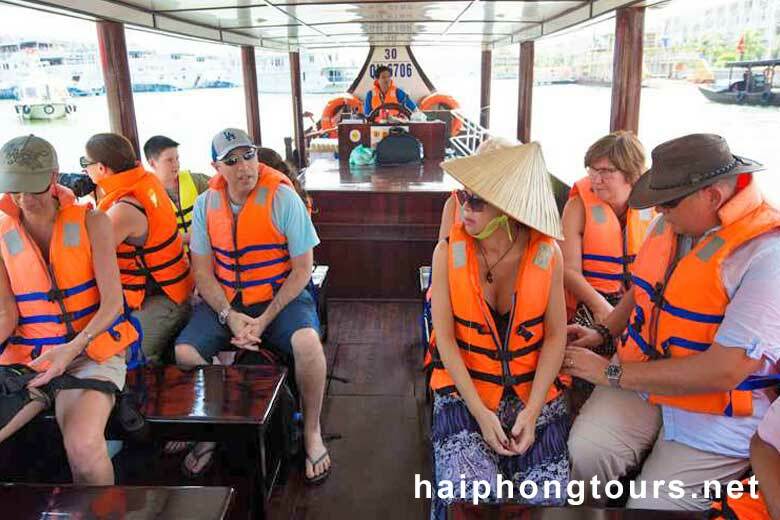 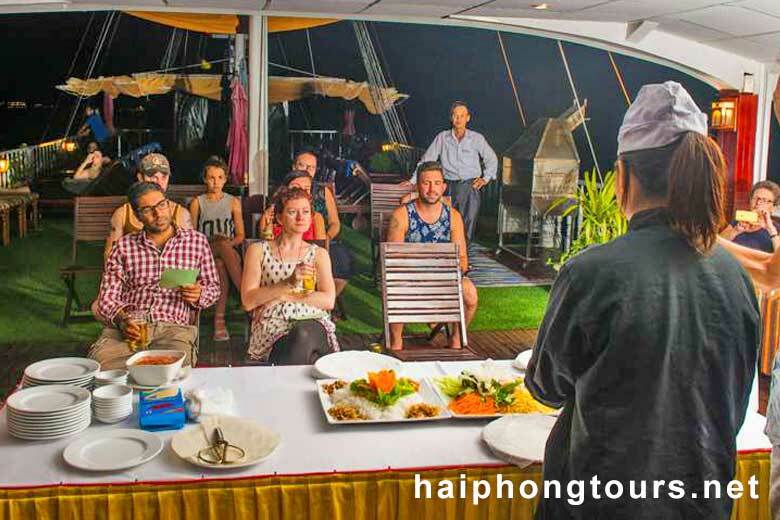 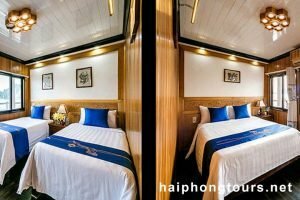 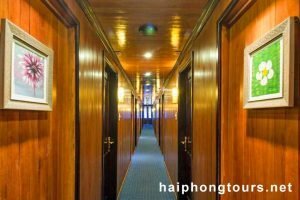 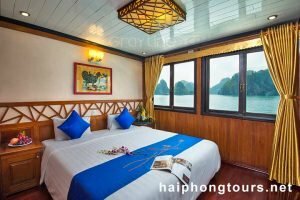 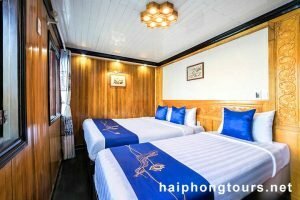 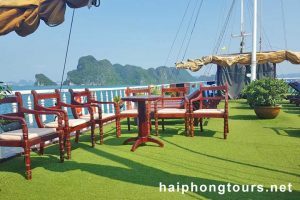 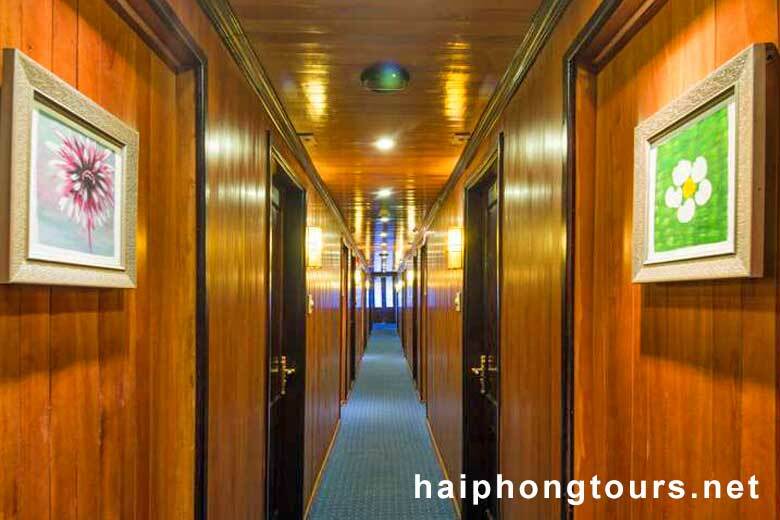 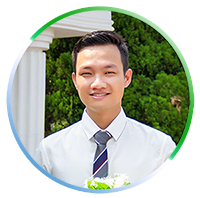 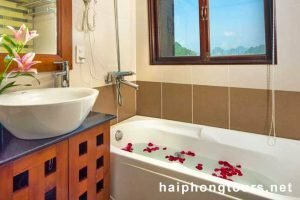 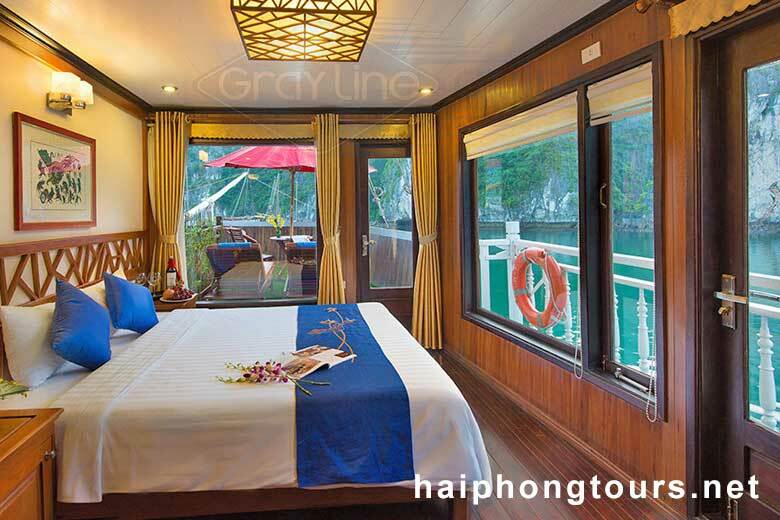 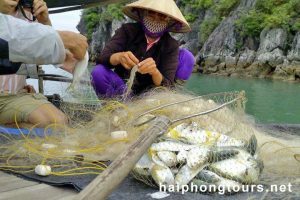 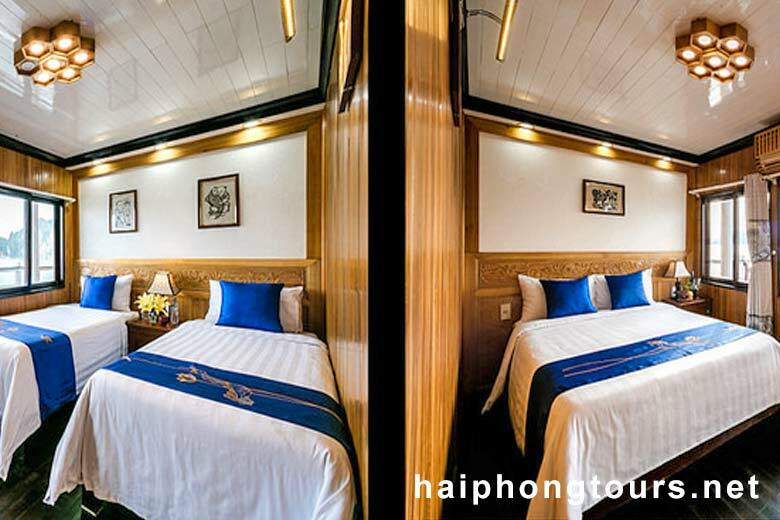 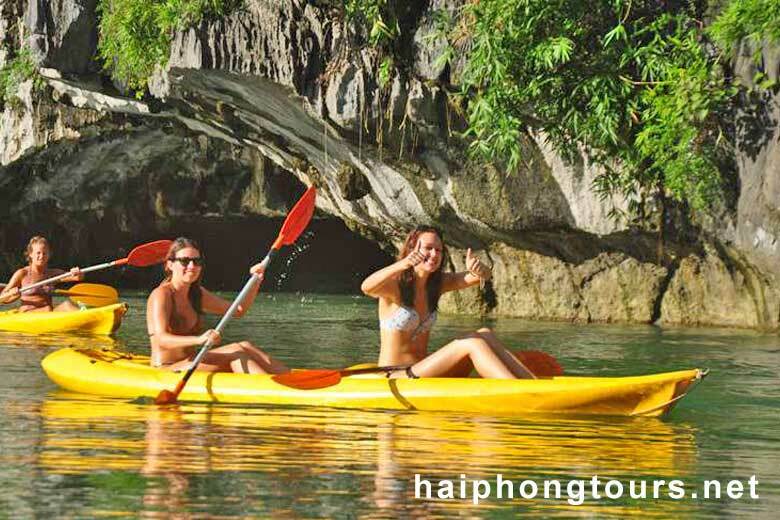 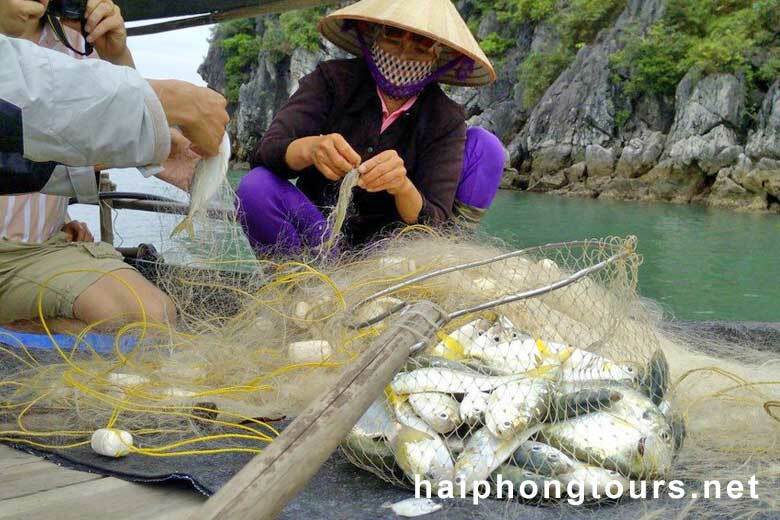 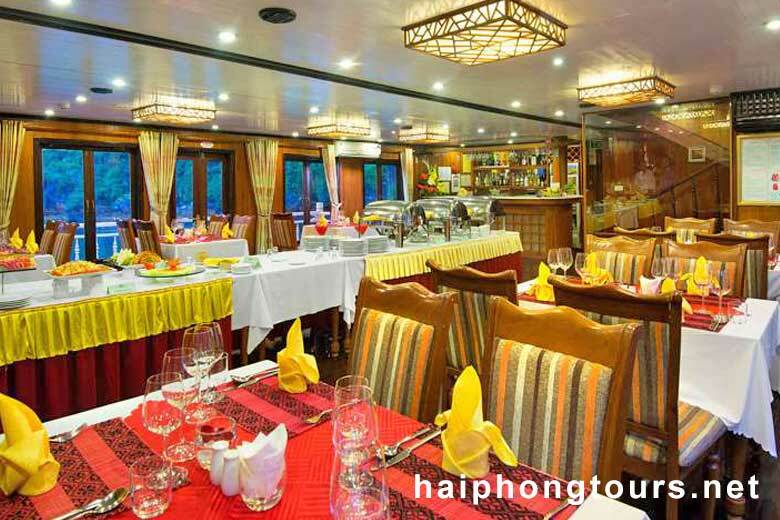 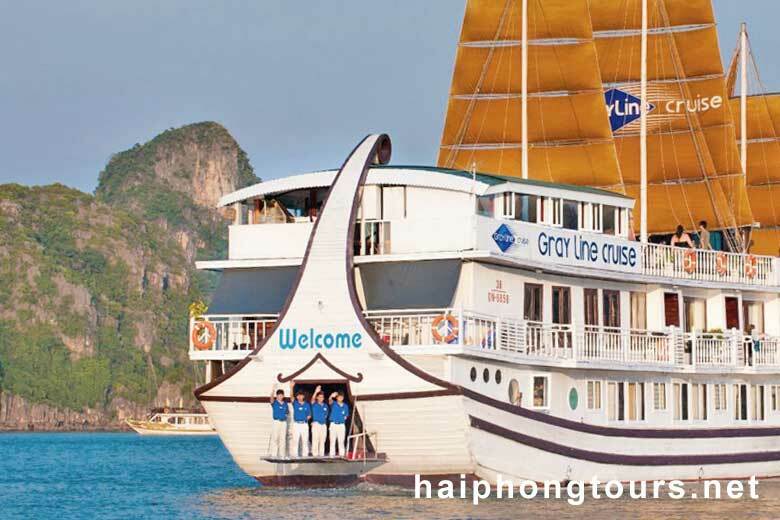 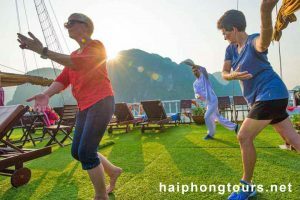 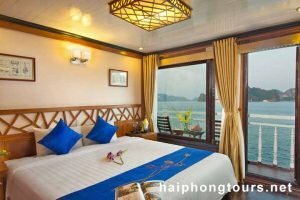 Halong Grayline Cruise company owns 3 cruises. 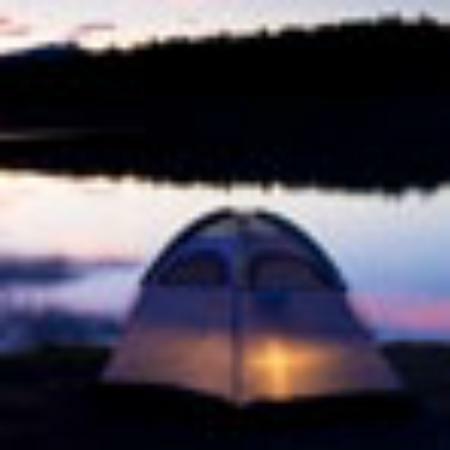 They are 14 and 8 cabins cruises. 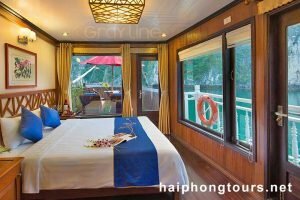 And the other has 3 cabins for family trip. 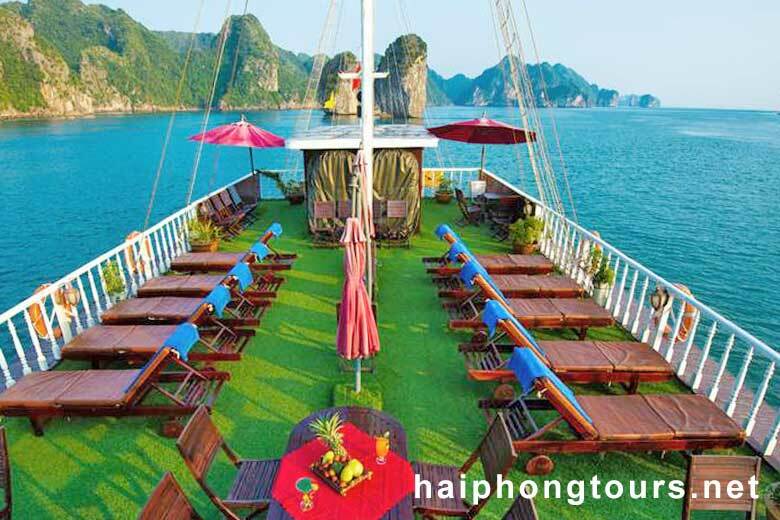 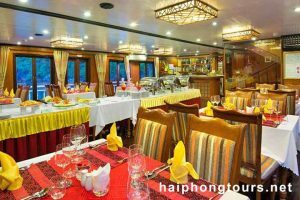 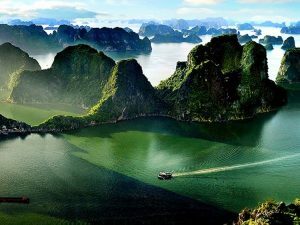 This is 4 star cruise company cruising to center of Halong bay. Superior rooms in 1st deck has big windows. 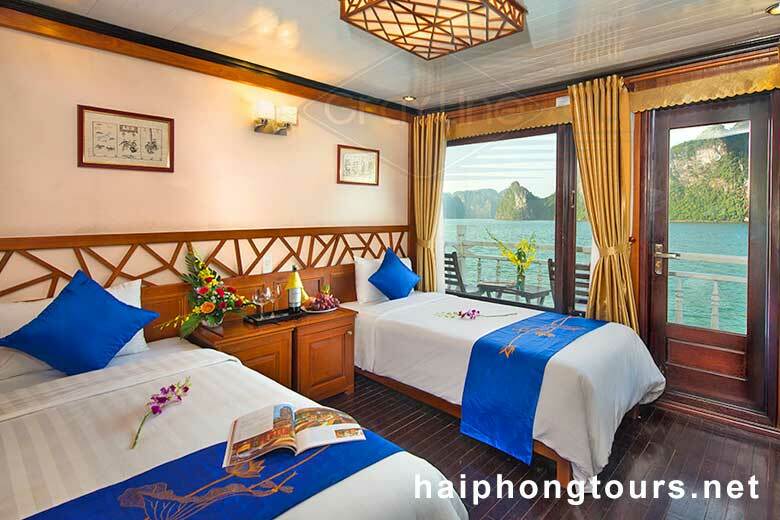 And deluxe rooms in 2nd deck have private balconies. 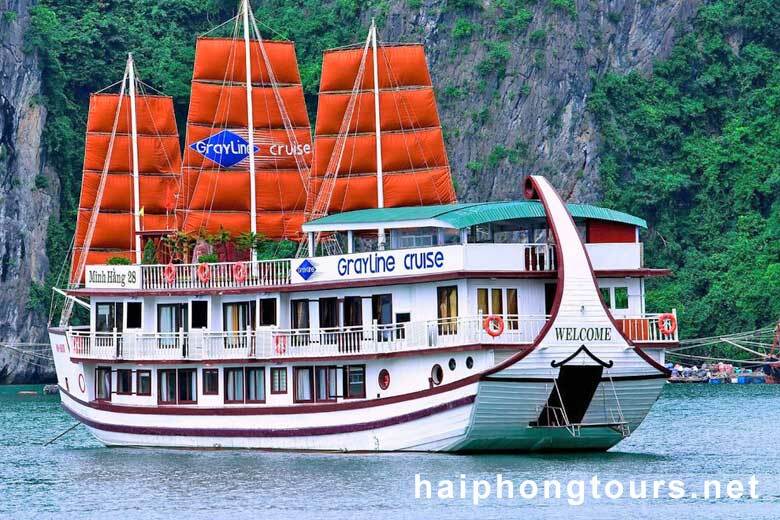 Halong Grayline Cruise basically operated on a famous route, with notable Surprising Cave and Titop Beach, but at the least crowded time so that every guest can enjoy the great scale of the cave with million-year stalagmites and stalactites, huge chambers, odd-shaped rock columns, or have enough time to conquer the peak of Titop island. 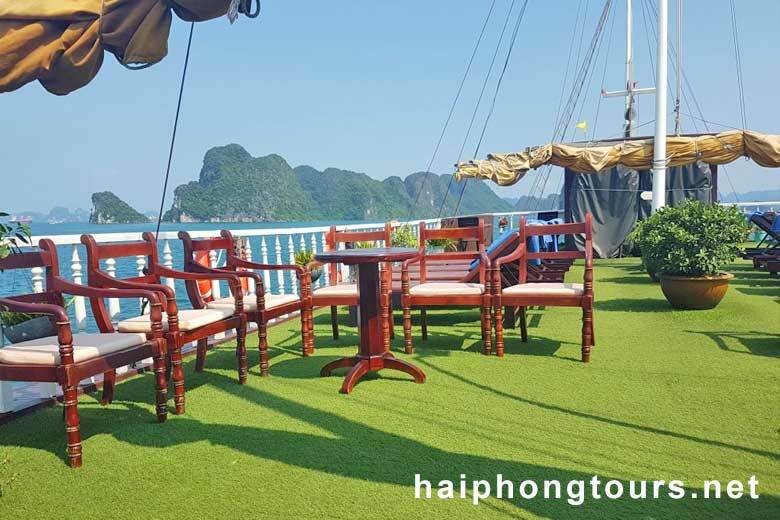 And before you return to the restaurant or cabin, you can also require a short time of extra massage or nail service on the sundeck to enjoy your leisure utmost, whilst admiring the sunset down the extended sea view. 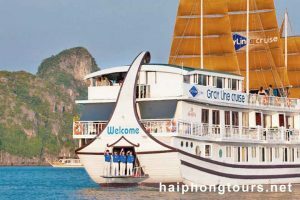 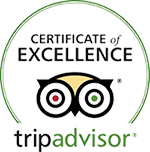 The cruise is also welcoming charter group of a company or class, and ready to provide the groups with a private route of their own, discovering the least visited areas of the bay, when you will not just have the seascape to enjoy but private secluded beaches for swimming, water activities, or private venues for exciting team building games and fun.